Best Marketing Jobs in Canada. Canada's marketing industry is a source of excellent employment for those with the right skills and experience. If you are an outgoing person with good analytical skills and a knowledge of market trends, the Canadian marketing sector could be the ideal field of work for you and, although the Canadian job market is very competitive, a well written and targeted resume can open the doors to some of the best marketing jobs in Canada. Marketing Specialists - this is a very common job type which involves creating and designing marketing campaigns to boost the sales of a company's services and products. By researching the most popular current trends and determining the kinds of services and products that consumers are most interested in, they develop reports and sales presentations about pricing, competition and product trends to help shape the company's sales tactics. Social Media Management - a social media manager is responsible for handling a firm's social media marketing campaign by updating content regularly with up to date posts and information. A major part of the rule is the development of brand awareness as well as the generation of sales and leads. Social media managers also engage influencers and followers and track trends. SEO Specialists - Search Engine Optimization Specialists improve a company's search engine ranking for their website by choosing targeted keywords and adopting SEO tactics like optimizing tags, titles and headings, and improving website design to enhance users' experiences. Email Marketing Management - this role involves marketing services and products through marketing campaigns and managing email contact lists for a business. They also create marketing materials for sending to customers. Web Content Production - a web content writer will provide up to date website content through marketing copy and blog posts in the aim of increasing the number of visitors it receives. Web Producer - web producers create and implement a website's digital content including video, audio and graphics to enhance the user's experience. Product Management - a product manager is responsible for overseeing a product's development from beginning to end. They design products built on existing ideas as well as develop brand new ideas based on their experience of the industry and contact with the company's customers. They are also responsible for completing the product on time and within the required budget while increasing the company's profitability. Marketing Analysis - marketing analysts analyze a company's marketing campaigns by evaluating current market trends, gathering information and examining buying trends in order to develop a company's marketing plan. Advertising Co-coordinator - an advertising co-coordinator supports a company's marketing effort, assisting with marketing projects for both electronic and printed media. They devise and coordinate marketing campaigns, schedule adverts and promotions, update and maintain customer databases and support the sales team. If you are interested in working in the Canadian marketing sector, there are certain qualifications which will be extremely helpful in your job search. A degree in Business Leadership, Market Communications or Multimedia Design would be very valuable as well as strong computing skills, including knowledge of Adobe Creative Suite and video editing software. Strong communications skills are a must, preferably in both French and English languages and the ability to work well both as part of a team and independently is essential. Many jobs require applicants to have some experience in a related industry, with two years prior experience of marketing being a requirement in many cases. 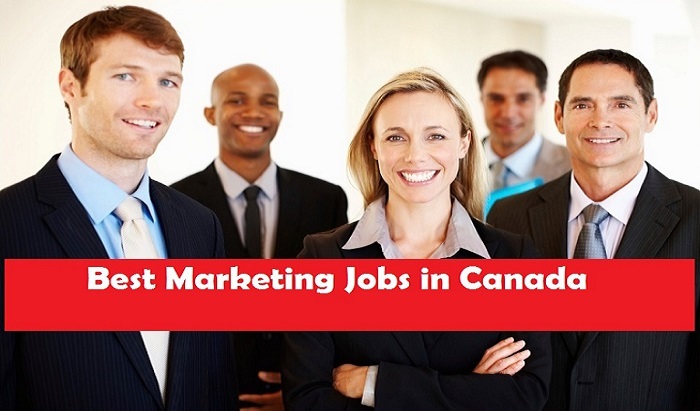 The best place to begin your search for a marketing job in Canada is to go online. Many general job sites such as Careerbuilder.ca and Monster.ca list marketing roles, however there are also several sites that specialize in listing current marketing vacancies. These include the CMA (Canadian Marketing Association) website and the Media Job Search website. Networking is one of the best ways to find job leads in the marketing sector as numerous vacancies are never advertised. It is therefore important to try to forge connections with other marketing professionals through attending conferences and other events aimed at employees within the sector and registering with LinkedIn where you may be able to make contact with people who can help you to gain introductions to employers.